The OS 6 map shows the name Knocknasilloge. This is confirmed by the draft place-names order for Gaeltacht areas. Shannawona is a townland name, but one clearly derived from a hill name (Ir. Seanadh means 'slope', and it is also widely used as the name of this area of hilly moorland. Leaca Donna / Lackadunna is the name of a lower peak about 1km SW of the summit. 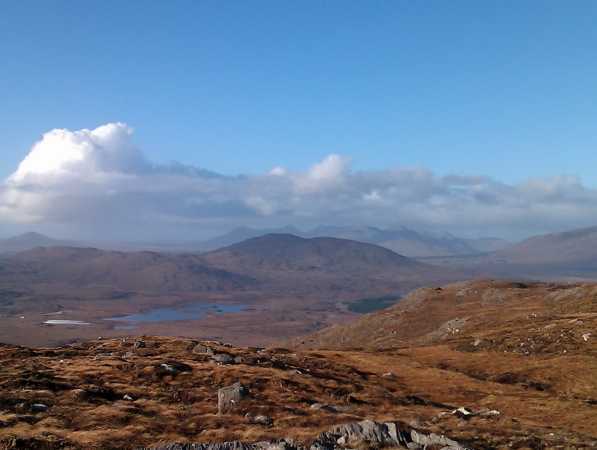 Cnoc na Saileog is the third highest hill in the South Connemara area and the 1057th highest in Ireland.